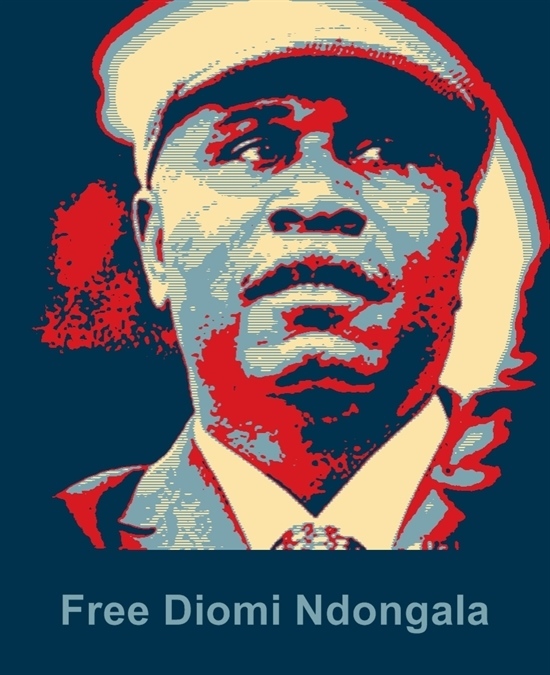 Congolese Youth Rise Up Against Repressive President Kabila in Historic Protest Movement | Démocratie Chrétienne, D.C. Youth in the Democratic Republic of the Congo have organized an unprecedented popular uprising calling for the repressive President Joseph Kabila to step down. They are wielding social media and peaceful protests as tools for their resistance, and have turned the nation’s political world upside down. Kabila has refused to relinquish power even though he was constitutionally mandated to do so when his second term ended this past January. This was no surprise for the Congolese because they know their mineral-rich nation has made Kabila, his family, and his supporters in parliament drunk with wealth and power. Wars and ethnic rivalries, mostly in the nation’s eastern regions and often ignited by greed for copper, uranium, gold and cobalt, have plagued Congo for decades. Many of the nation’s natural resources are used to manufacture electronics so to satiate the West’s appetite for mobile devices. In the late 1990s and early 2000s, surrounding nations such as Rwanda invaded Congo’s eastern regions and plundered resources, which in many cases were then sold to Western-based mining brokers, in what is known as the Great War of Africa, resulting in several million deaths. Now the Congo is on the brink once again, but the ongoing conflict began in the nation’s central region of Kasai, home to the nation’s capital of Kinshasa, and spread from there. Government forces and a militia opposed to Kabila have engaged in a slaughter that has killed thousands and displaced over a million people, says Human Rights Watch and the UN. Both are investigating the discovery of mass graves near Kinshasa. Human Rights Watch (HRW) gave the following statement on the situation in Congo to Toward Freedom. repression against human rights and youth activists, opposition leaders and supporters, journalists and independent researchers, peaceful protesters, and others who have called for the country’s constitution to be respected and for President Joseph Kabila to agree to step down,” stated HRW in an email. 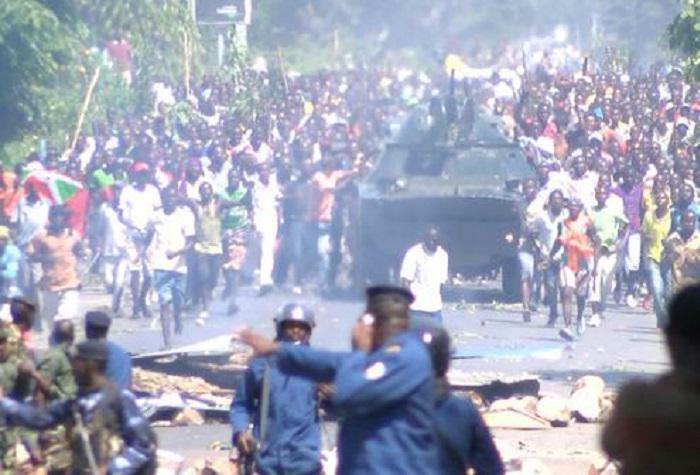 Amidst this worsening situation is an ongoing uprising unprecedented in modern-day Congolese history. Kambale Musavuli, a spokesperson for the social justice advocacy organization Friends of the Congoexplained that the protest movement is unique in the Congo because it is non-violent, and many of the protestors and organizers are young and social media savvy. Sixty-percent of the DRC population is under the age of 35 and a significant number are under the age of 18. 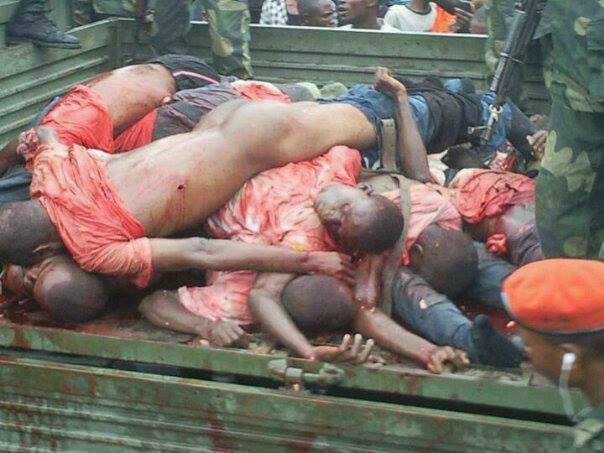 Age is no matter to Kabila, however, as the Congolese military has turned their guns on them, according to Musavuli. But it is too early to know exactly how many have been murdered as the government is pushing back on efforts to unearth the dead from mass graves. Besides shedding their blood, Musavuli explains, the military has detained many young protestors for months without charges or due process. Desperate to cover their crimes, the Congolese military has snatched the dead from hospitals to reduce the body count, he adds. 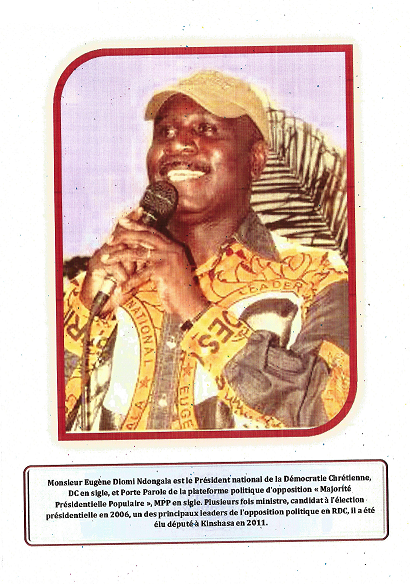 Musavuli insists the youth movement is not supported by any anti-Kabila militia, which are notorious for their brutality. In March of this year they murdered two young UN investigators, American Michael Sharp and Swedish-Chilean Zaida Catalán, who were seeking more information on the mass graves. Even though the movement has denied guns in exchange for social media networks, Musavuli believes the Congolese youth are the biggest threat to Kabila. “The one force the Congolese government is afraid of is the Congolese youth,” he says. 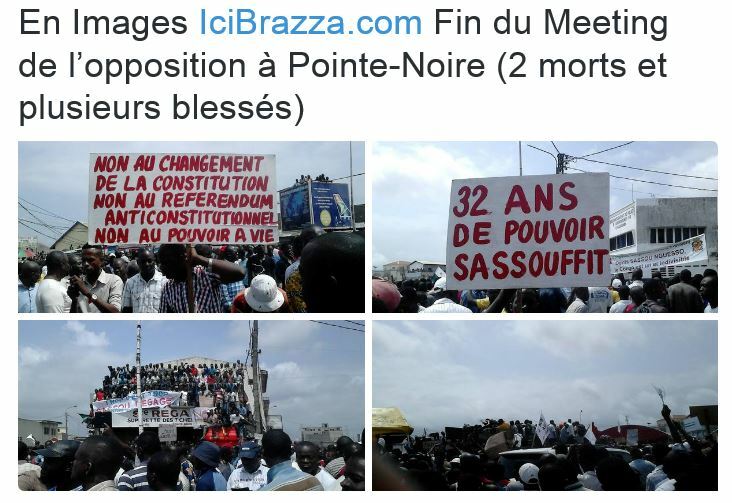 The spark for the protests was Kabila’s majority in parliament trying to pass a constitutional law that would require a census for the upcoming elections in 2016. Because the nation is roughly the size of Western Europe and lacks sufficient roads and other infrastructure, the monumental census task would delay any presidential election for several years. 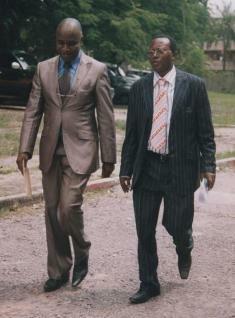 The Telema uprising convinced Kabila and parliament to withdraw the law. Kabila and his majority in parliament were so concerned they shut down the nation’s internet services. 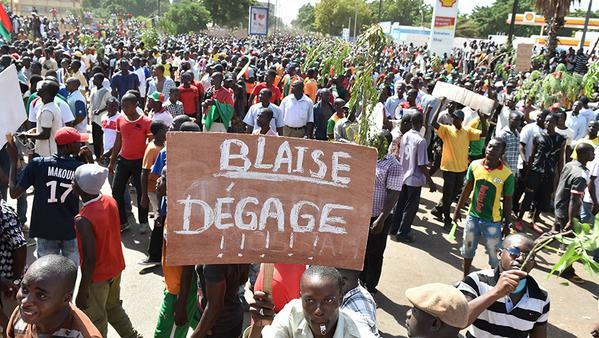 The government reported over 40 dead protestors, but if Human Rights Watch and the UN are able to uncover the mass graves, the Telema death toll could become much higher. What the remaining year and into 2018 could bring has the media and experts raising the specter of civil war and genocide. An agreement for Kabila to step down is in place, however. The Congolese Catholic Church – which has observers throughout the nation – brokered a deal with Kabila this past New Year’s Eve. The Catholic Church said his administration will run the government through 2017 and hold a presidential election at the end of the year. Kabila then must keep his word, according to the Catholic Church. But Musavuli of Friends of the Congo believes not even the Vatican can convince Kabila to go. He says there is only one group that can do this. Originally from Buffalo, NY, John Lasker is a journalist residing in Ohio. Lasker has been producing investigative reports for TowardFreedom.com for over seven years, breaking stories on topics such as US corporate ties to resource conflicts in Africa and the race to militarize space. His reporting on sexual violence against women in the military won a 2013 Project Censored Award.